Are Ye Catholic or No? Is anyone genuinely tired of being derided as an Anglo-Papalist or even modestly sneered at for being an Anglo-Catholic-you know, those evil folks lately characterized as trying to “unreform the church”? (See e.g. 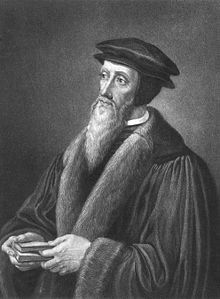 “The Old High Churchman Blog) Is there a place in Anglicanism for the non-Calvinist? It is, in my view, time for Anglo-Catholics to boldly self-define and band together, or pack it in for other (not necessarily greener) pastures. I am not willing to make the jump yet, but I have been (and may be) darned close. So, I will never condemn those swimming East or West. Yet, here we are are in communion with, or actually members of, bodies of folks who are vociferously antithetical to “7&7” or any other kind of Catholicism. We have a presenting issue-one that is beyond missals, Ritual Notes, Fortescue, Dearmer and the lot. There is a marked challenge to the logic of our existence even from those who claim to be in communion with us or worse, members of our various sadly-splintered and increasingly diminished bodies. Shall we engage the question of raison d’etre, or continue to whistle (something Palestrina-like, of course) past the graveyard? Dare I say it is time for a chorus of “Stand Up for Jesus” and some gathering of the Catholic flock for serious discussion and reflection? As we near 40 years since the Affirmation, is it now time to throw down, forgive and realign: Anglo-Catholics joining as one? Or, are we simply playing until we at last wink out? Just a small fire starter on an hot August night! Luther found faith only because he needed it. It settled his mind. It was a good discovery FOR HIM. A movement came from it because potentates decided that they could be popes within their own kingdoms. Other people figured they did not have to be moral if they were already of of the “elect” Anglicans got caught in the middle and were left in the muddle. The real truth is the none of us can depend on other men who do not love us. We can depend only on Our Lord Himself. Many men talk about freedom or unity. They should talk to God. I find it the only comfort that there is. What would you suggest? An Anglo-Catholic Conference?